Banyan Tree Mayakoba. A harmonious blend of nature and luxury, Banyan Tree Mayakoba takes the Caribbean lifestyle to new heights on Mexico’s famous Riviera Maya coast. welcome to your preferred new private pool villa escape. Summer fun is a breeze at Banyan Tree Mayakoba, where you can play a round of golf at the golf course, cool off in one of the 2 outdoor swimming pools, and enjoy a treatment at the full-service spa. Want a nice, cool drink? Try the beachside bar or one of the resort's other drinking venues including a beach bar and a poolside bar. You'll be playing in the surf in no time with a free ride on the resort's complimentary beach shuttle. Complimentary wireless and wired high-speed Internet access is available in public areas and a computer station is located on site. Additional amenities at this 5-star resort include a complimentary children's club, a children's pool, and an indoor pool. Read More. 845/1,042 (81%) of the travelers qualify it as Excellent. 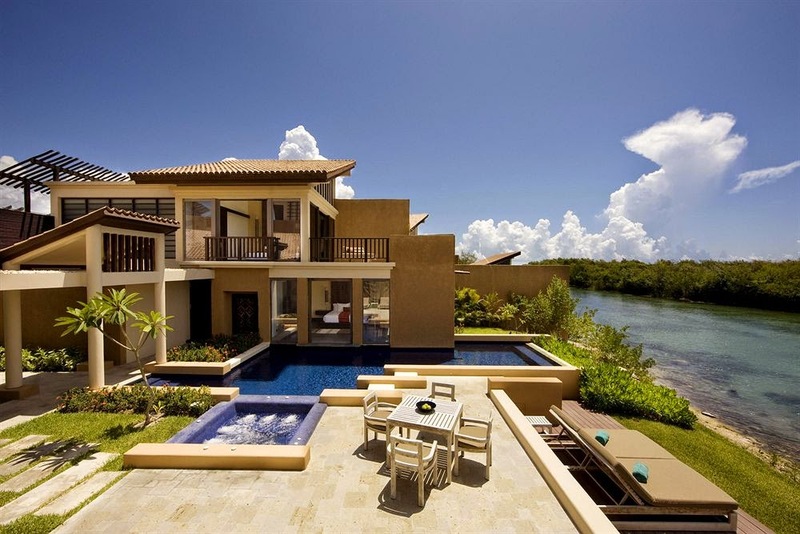 Fairmont Mayakoba. All-inclusive and room-only rates are available at this resort. 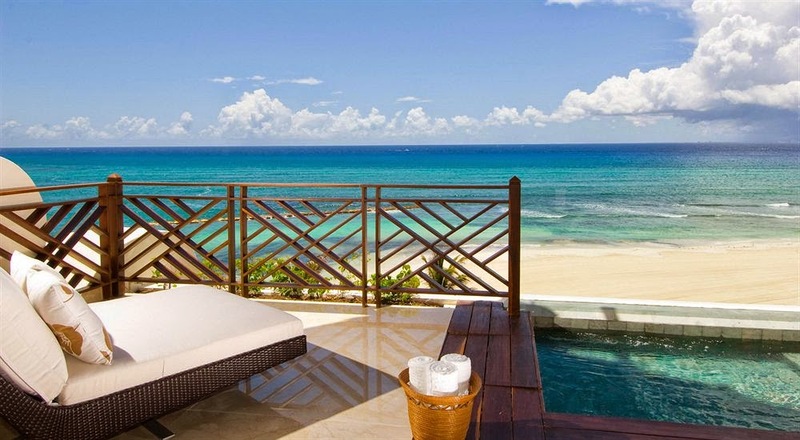 Hidden amid lagoons and white sandy beaches, it lies 5 miles (8 kilometers) north of Playa del Carmen, Mexico. Most of the city's excitement centers around its famous Fifth Avenue, where sun-kissed tourists stroll through the busy street lined with shops, boutique hotels, and small restaurants. The resort features pools, including a 10,000-square-foot (929-square-meter) main pool with a swim-up bar and an 18-hole, 2007 PGA featured golf course designed by Greg Norman. Read More. 947/1,428 (66%) of the travelers qualify it as Excellent. 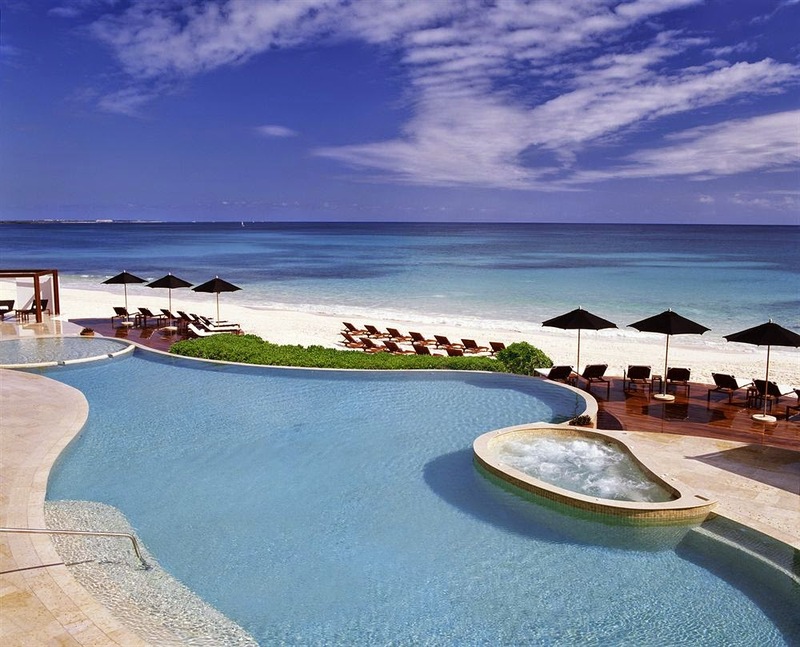 Grand Velas Riviera Maya All Inclusive Playa del Carmen.All-Inclusive luxury resort in the Mexican Caribbean. 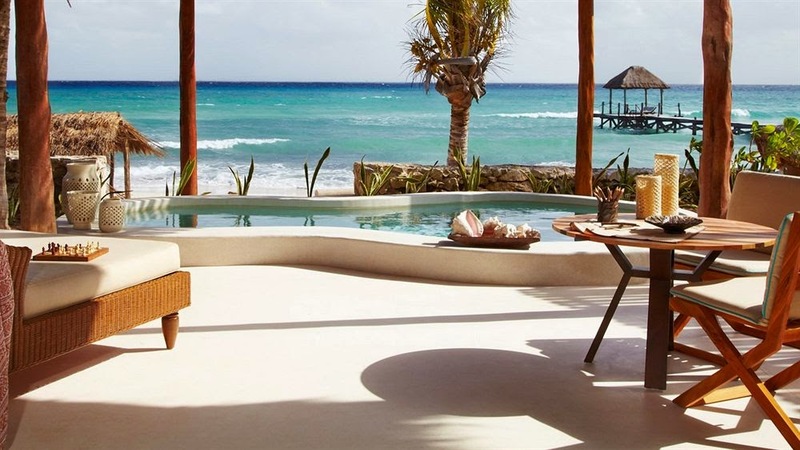 Caribbean beachside retreat situated right on the winding Riviera Maya coastline, this luxury resort is 5 minutes from downtown Playa Del Carmen. The expansive spa allows guests to experience the revolutionary hydrotherapy circuit or choose from an innovative menu of treatments. There is also a cutting-edge convention center and a culinary tour of the resort’s 8 restaurants. Read More. 1,072/1,415 (75%) of the travelers qualify it as Excellent. Viceroy Riviera Maya at Playa del Carmen. All-inclusive and room-only rates are available at this resort. 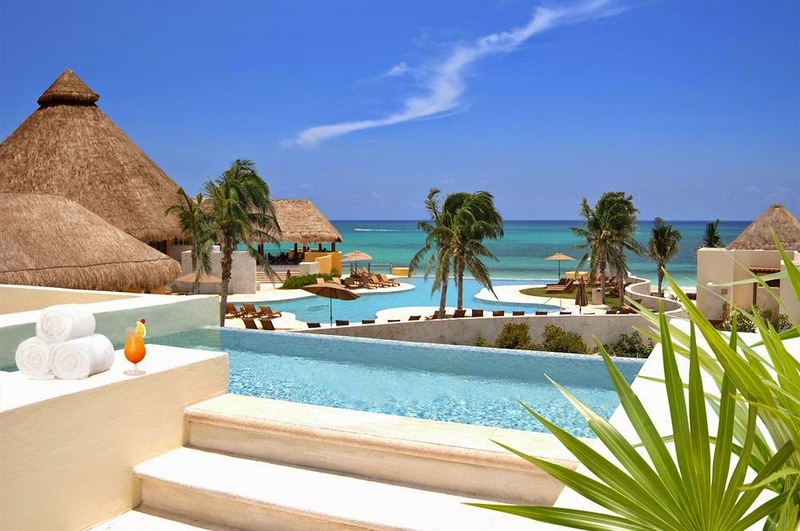 All-inclusive rates include meals and beverages at onsite restaurants. Charges may apply for dining at some restaurants, special dinners and dishes, some beverages, and other amenities. Sit back and relax on the beach with complimentary cabanas, umbrellas, and sun loungers. Pamper yourself with a treatment at the full-service spa and enjoy amenities at Viceroy Riviera Maya like an outdoor pool and a health club. Dining options at this luxury resort include 2 restaurants. Wireless Internet access is complimentary in public areas. Additional amenities at this 4.5-star resort include a spa tub, a sauna, and a steam room. Read More. 507/690 (73%) of the travelers qualify it as Excellent. 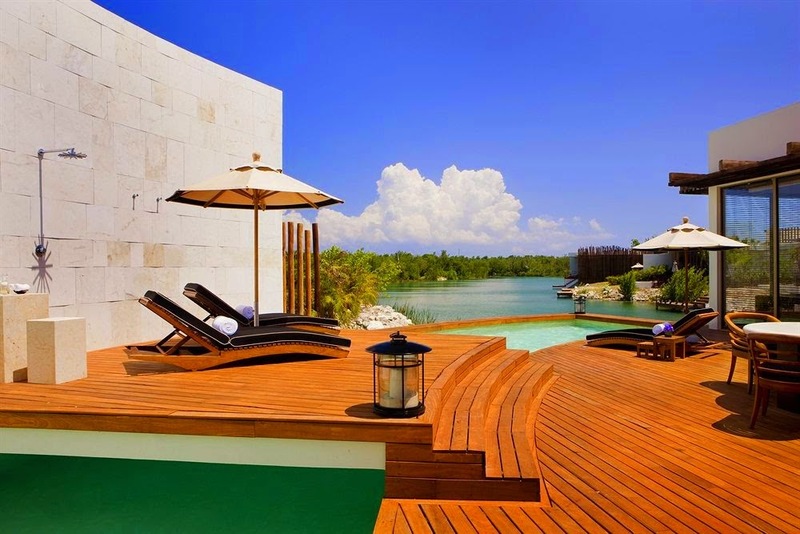 Rosewood Mayakoba Playa del Carmen. Hit the beach and work on your tan in the sun loungers or relax in the shade with complimentary cabanas and umbrellas. Summer fun is a breeze at Rosewood Mayakoba, where you can play a round of golf at the golf course, cool off in one of the 3 outdoor swimming pools, and enjoy a treatment at the full-service spa. This luxury hotel features 2 restaurants. Wireless Internet access is complimentary in public areas. Additional amenities at this 5-star hotel include a complimentary children’s club, a children’s pool, and outdoor tennis courts. Complimentary valet parking is available onsite for guests. Read More. 734/850 (86%) of the travelers qualify it as Excellent. Labels: 10000-square-foot main pool, 18-Hole Championship Golf Course, 4.5-Star Resort, 5-Star Property, Banyan Tree, Fairmont, Grand Velas, Rosewood, TripAdvisor, Viceroy, Viceroy Riviera Maya, Weekly Top Five.